June 30th was a little longer than usual. An extra second, or "leap" second, was added at midnight to account for the fact that it is taking Earth longer and longer to complete one full turn a day or, technically, a solar day. How did you spend your bonus second ? 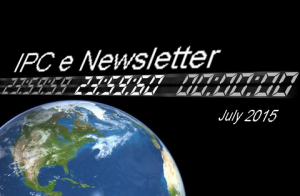 Welcome to the July 2015 edition of the IPC e-newsletter. The IPC e newsletter is distributed free to more than 4000 people around the world. Group says strategies to replace HDPE with PET could put recycling streams at risk. 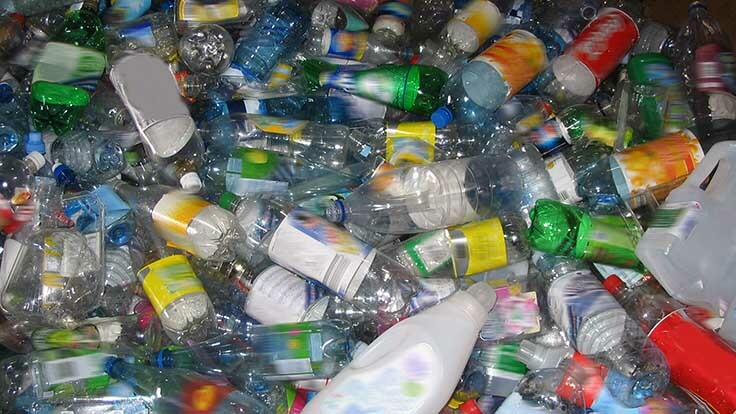 Brussels-based plastics association Plastics Recyclers Europe (PRE) has issued a statement expressing that current market developments in the polyethylene terephthalate (PET) packaging market could put the future of PET recycling at risk. NEW DELHI: Industrial paints maker Kansai Nerolac today said it has entered into an agreement with realty firm Brigade Properties to sell its land in Chennai for Rs 550 crore. Kansai Nerolac Paints reported lacklustre numbers for the fourth quarter of 2014-15. Though its net profit grew 35 per cent compared to the same period last year, it fell 8 per cent compared to the preceding quarter. Anderson fire crews work a large fire at American Metal Coating on Monday. Posted: Monday, June 8, 2015 12:37 pm | Updated: 9:15 pm, Mon Jun 8, 2015. ANDERSON — Thick smoke poured from American Metal Coating on Production Drive as it burned on Monday. The company, owned by DP Orchard Co., applies powder coatings to metals. Anderson Fire Department Chief Phil Rogers said the building, having an assessed valuation of $573,900, is a total loss. TITANIUM DIOXIDE MARKET IS EXPECTED TO GROW OWING TO ENHANCED USE AS SPECIALTY COATINGIN AUTOMOTIVE AND PHOTOVOLTAIC MODULES: GRAND VIEW RESEARCH, INC. The Global Water Soluble Paints market to grow at a CAGR of 3.34% over the period 2014-2019. A door handle that can destroy about 99.8% of whatever germs make it onto it when people touch it, that is. The handle, developed by two teenage boys in China, i.e. 17-year-old Sun Ming Wong and 18-year-old King Pong Li, owes its astounding bacteria-killing abilities to the fact that it is coated in a thin layer of titanium dioxide, which does a great job of making mincemeat of germs. As for why it is glowing, this is because Sun Ming Wong and King Pong Li made sure to incorporate a UV light source in its design. They did so not to make the door handle all sparkly and pretty, but because titanium works best when blasted with UV rays. The UV light source is hidden inside one of the brackets enclosing the clear glass cylinder that forms the bulk of the door handle. When somebody grabs the cylinder to open a door, UV rays are fired, the titanium oxide is activated and bacteria transferred during contact are killed <more>. Scott J. Springer has joined Nordson Corporation as Sales Director, Americas, for the company's Polymer Processing Systems (PPS) products. Stuttgart/Hannover. Effective cleaning of components and surfaces is an issue for practically every manufacturer today, not least because the bar for cleanliness is constantly being raised. At the same time the pressure on costs is also rising. So manufacturers face a twofold challenge: they have to meet specifications for cleanliness with the right technology - consistently and reliably - and they have to do so at an affordable cost. This year's parts2cleanoffers a wider range of solutions than ever before, explains Olaf Daebler, Director ofparts2clean at Deutsche Messe. The 13thLeading International Trade Fair for Industrial Parts and Surface Cleaning from 9 to 11 June 2015 brings together over 250 exhibitors from 14 countries to present products and services for the end-to-end process chain at the Stuttgart Exhibition Centre. Their displays cover a total of 7,000 square meters of exhibition space, with a notable increase in display space booked by foreign exhibitors compared with previous years. These figuresindicate continuing growth forparts2cleanin 2015.
parts2clean 2015 will be the biggest and most international event in the history of this trade show, declares Daebler. Many exhibitors use the show to unveil their latest new products and improved solutions for the very first time to an international audience One example is a new dry cleaning plant for the efficient intermediate cleaning of power train components in the automotive industry. The plant operates without compressed air and consequently delivers enormous cost savings combined with higher process reliability and availability. Also making its debut at this year's parts2clean is an innovatives ystem that simultaneously deburrs components under high pressure and cleans them. And the first rod transducer for multi-frequency ultrasound will also be unveiled at the show. Designed for the 25 and 40 kHz frequencies commonly used for industrial parts cleaning,it provides a space-saving and cost-saving solution for installing multi-frequency ultrasound in single and multi-chamber cleaning plants. Innovations await visitors in other areas too, such as the automation of cleaning processes prior to the fully automatic measurement of components or solutions integrated into assembly lines.Various new developments in cleaning media will also be on show, such as a salt-free multi-metal cleaner that can be delivered at high pressure, producing a completely dry and fleck-free surface. New developments and refinements in cleaning baskets and workpiece holders make it possible to reduce process times, optimize results and cut costs. Not least because they are flexible in their application and minimize the number of times parts need to be handled or repositioned - thereby cutting costs and reducing the risk of damage. New devices for the monitoring and maintenance of cleaning baths contribute to more stable processes, especially when cleaning with water-based media. This year's parts2clean will also showcase solutions for monitoring and documenting cleanliness at the particulate level which comply with the revised VDA 19 industry standard. And new devices and systems for detecting and measuring film residues can also be seen at the show. This year's parts2clean is again offering guided tours for visitors, first introduced at the last show. Theseare ideal for visitors who need to locate exhibiting firms offering solutions to very specific cleaning problems or requirements.